Bringing the high-flying tale of Santa Claus down to earth, An Orphan's Promise is intended for children who question the fantasy version of the legend. For adults, the story shows Christmas as a time of miracles bringing out the best in us. An Orphan's Promise places Santa Claus as a carpenter in Norway around 1910. He has been giving gifts for about ten years, and fosters orphan boys who help him build toys while he teaches them the carpentry trade. So, what happens when a ten-year-old orphan girl shows up, also wanting to learn carpentry? 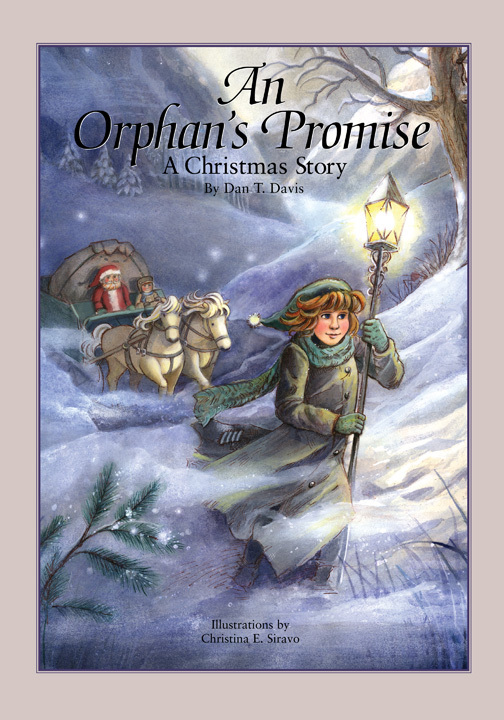 An Orphan's Promise emphasizes the 'true meaning of Christmas' and contains exquisite watercolor paintings; it's a wonderful gift book for just about anyone! Show me more! And show pictures!